In this post, we examine five of the most popular online Unity courses. Unity is a 2D/3D game engine that’s designed to work on multiple platforms and systems and was designed by Unity Technologies. Udemy allows users to take online courses in which they can learn how to program and develop games made with this system (Source). Udemy’s courses are accessed via the Internet. Once a student signs up and pays the required fee, they can view these courses and read the materials at their leisure (Source). It's important to note- these courses provide 'certificates of completion' and don't necessarily provide an official Unity certification. In a nutshell, they are ideal for learning Unity, not getting an official Unity Certification. If you’re a beginner, it’s recommended you learn basic programming and coding in C# before jumping into 3D game development. Also, developers frequently recommend becoming proficient in math skills such as algebra and algorithms (Source). Here, we’ll take a deep-dive into these five Udemy Unity courses and compare their features. (Scroll down for video reviews). Also, pay attention to Unity’s certification page for updates on official certification opportunities. The first course, Create Your First RPG, and FPS Multiplayer Game teaches you how to code in C# which is essential for game development. You will learn problem-solving skills, which will help you not only when problems arise, but will help you design challenging games. The majority of students who took this course praised the teacher for his clarity and teaching style, and for the projects they came away with in the end. The next course we looked at is Learn to Code by Making a 2D Platformer. Like the previous course, this one also teaches you how to program in C#, but unlike the previous, this one focuses on 2D game design, which is something every game developer should learn. People taking this course found the information to be in depth and detailed, but not overwhelming for a beginner. Next up is The Ultimate Guide to Game Development. This course will allow you to master basic C# concepts such as like variables and “if” statements. You will learn how to make objects detect collisions, and create power-ups, and other in-game devices. This course is highly rated among those who have taken it, and many said the information provided is invaluable to fine-tune your game. Next is the Unity Game Development Academy for developing 2d/3D games. This course is very in-depth and teaches you to build 2D games with sprites in Unity and to build 3D games as well. When finished, students will be able to apply for jobs as junior game developers or as Unity developers. This program is considered to be one of the most comprehensive you can take because it teaches you both 2D and 3D real-world game development. The last is the Learn to Code by Making Games, which is a complete course for C# Unity development. This course covers design and development of games, and when you’re finished, you will have a working 2d and 3D game for both web and mobile. This is a thorough course with a lot of information, but those who stuck through to the end all seem to agree that the skills they learned take one far along the path towards being a game developer. This Unity certification course, designed by Ben Tristem, is comprehensive, well-structured, and an excellent way to learn how to code and create games. Users love the clear instructions, but some do note that they are disappointed with the final lessons. After you complete the curriculum, you’ll know how to program using C# in addition to Test Driven Development, even if you have no prior experience with the platform. What’s great is that you can rely on excellent support on the forums, and you can share your ideas and games with the community. You also get project files, additional references, and resources. In general, students have a high opinion of this game developer course, and they highly recommend it. An enroller comments that the lecturer explains the material well and that he cares whether his students understand everything. The reviewer adds that he had a nice experience and learned all the basics. Another student mentions that this is the right course for game developers and that he likes the practical side of the lectures. A user also observes that the instructor challenges you to come up with your own solutions and that you can also find more information and tips on the forum. However, some reviewers note that lecturer speaks too fast, while others state that the pace is too slow for their liking. One also complains that experienced programmers will have a few new things to learn. If you’re considering a career in game development, this Unity certification tutorial, from Mark Price, might be the right choice for you. Students love that you don’t need any prior coding experience, but some do note that there is too much repetition. This course consists of 117 lectures (35 hours on-demand videos), which will teach you how to code in C# and build 2D/3D games using the platform. You’ll also get familiar with advanced topics such as lightning, cinematics, and multiplayer. Another great thing is that you can always join the free chatroom and ask for help or get in touch with the community. A pupil observes that the material is well-structured and that it’s an excellent choice for people who haven’t ever worked with the platform because it’s easy to follow. He adds that the instructors give plenty of specific explanations on the topics. Another reviewer comments that the exercises are fun and that he learned tons of new things. A student also mentions that he loves the in-depth look and that the lecturer gives you the freedom to be creative. He recommends going through the supplemented resources because they’re a real treasure of knowledge. However, a few students have noted that the teaching is inconsistent and that basic concepts are not explained well. Some also point out that the tutors don’t answer questions. 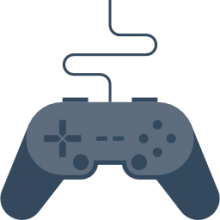 If you are interested in developing amazing, commercial quality games that are playable on a variety of platforms, then you’ve come to the right place. This Unity course is the only one of its kind that is approved by Unity Technologies on Udemy. This guide to game development, made by Jonathan Weinberger, is well-made, detailed, and approved by Unity Technology. Students love the challenges, but some do note that the 3D section should be better explained. This developer course will teach you how to master C#, create power-ups, enemies, implement sound effects, navigate the platform, and deploy your game on web/mobile platforms. It’s not necessary to have prior expertise in the area because the tutors will walk you through how to install Unity. It includes over 160 lectures and 30 interactive challenges to prepare you for more complicated game building, so it perfect both for amateurs and people seriously interested in the profession. In general, students have a high opinion of the quality of the presented material, and they highly recommend it as one of the best Unity Certification courses. One reviewer mentions that it’s his favorite course and that the provided content is up-to-date with the platform. He adds that the instructor keeps his students engaged and that he is also available to answer your questions. Another enroller comments that the lectures are short and interesting and that it’s great for beginners. However, a couple of people have stated that the tutors use bad coding practices during the lessons and that the pace is a bit slow. If you’re searching for an online Unity course to help you understand how to use the platform, this might be one of your best choices. Designed by James Doyle, students say that they love that the lecturer is easy to understand, but some do note that coding is not well covered. The lectures aim at helping you learn how to code using C#, make 2D games, and develop strong problem-solving skills. It’s suitable for everyone interested in the game making sphere no matter their level of experience. Once you complete all the tutorial, you’ll be able to create your characters, build levels, enemies, boss battles, and more. A reviewer comments that the course is more detailed than he initially expected and that the lecturer explains why things are done in a certain way. The student adds that the material is divided into easy to understand chunks and that it’s suitable for beginners. Another enroller observes that the lectures cover all the basic topics and allow you to improve your developer’s abilities. He highly recommends as one of the best Unity certification courses. A user also mentions that he managed to build a game and was very proud of the results. However, a couple of pupils have noted that the videos use an old platform version and that the instructor employs some bad coding practices. The course is completely project based, and we are going to create four 3D games from scratch using Unity Game Engine. We will start with simple things so you will be comfortable even if you are using Unity for the first time. If you’ve ever wanted to make RPG games but never had the knowledge or ability, this course, designed by Awesome Tuts might be what you need. Students love the assets and the programming tips, but some do note that the instructor is too fast for their liking. What’s great about this online Unity course is that it’s suitable for beginners because it will teach you the basics of C# and help you develop and improve your abilities in game creation. With the help of the instructor, you’re going to create four 3D games from scratch so that you can grasp the full capabilities of the platform. You’ll also benefit from excellent support from the forum. A reviewer comments that he loved this Unity course and that once you’ve finished your project, it will look like exactly like the preview. He highly recommends it for beginner programmers because it gives you real-world examples. Another student remarks that the tutor is easy to understand and that you can follow his instructions with no problems. A pupil also mentions that every concept is well-explained and that it’s clear even for a newbie what to do. He adds that you can apply what you’ve learned and that the projects are fun to do. However, a couple of pupils have noted that the instructor moves too fast and there are not enough explanations about the coding. Unity is a multiplatform game engine created by Unity Technologies, which is mainly used to make 3D or 2D simulations, computer and cell phones. Even though it has been in the field for a while, it has since improved their platform presence. It is a multipurpose gaming engine that allows for simplified functionality and the creation of C # content and scripting too. The engine is good on the following APIs: 3D for Windows along with Xbox. It also runs on OpenGL that is available in macOS, Linux or even Windows. Also, Unity supports low-level Metal APIs on Android. With 2D games, it allows the importation of sprites which is an advanced 2D renderer on the planet. For 3D games, Unity provides specifications of pressure and best resolutions. It provides the configuration of each platform compatible with the game engine and the relief mapping. It also offers services, for example, Unity Certification. So, what is the Certification? It is a program that helps in giving hope and insight to those who are searching for an occupation in the games business. It is useful for those who want an approach to show their skills to future employers. It is a long program, and in the middle of the training, the learners do some tests for the evaluation. The test was designed to provide a qualification that approves the fundamental skills to make a game with Unity, covering radical ideas in both specialized craftsmanship and programming. It offers developers of all levels the opportunity to move on their own, to test their knowledge of the production process of the game. The outcomes are presented punctually after the completion of the test. By giving meaningful exams, learners get pointed experience and knowledge. The exam is developed through research and meeting requirements with an exam board of considered game developers and instructional institutions. This is done to make sure that it will cover skills that are useful for employers and are sufficiently challenging to Unity development students. Their exam body is currently placing the latest coursework within an online study program called Courseware that allows an online agreement for the certification exam. The platform includes recordings in combination with instructional activities for game projects that give simple learning. It takes you through the process of making a functional game without help. Although it is not mandatory to take the exam, it provides an organized learning knowledge that can help new users to develop their fundamental skills in the production of games. For those who already have some abilities, the teaching material will help them fill the gaps in knowledge. It can also assist in making sure that they are ready for the full range of topics they will discover in the test.